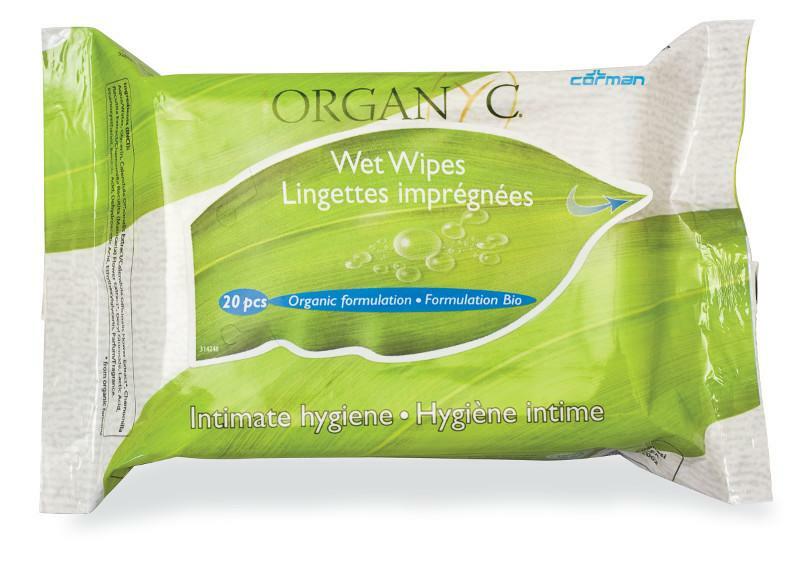 A packet of 20 intimate hygiene wet wipes by Organyc. Made from Organic cotton these gentle wipes are soft and easy to use. An organic formula of refreshing chamomile, calendula extract and Latic acid makes them ideal for cleansing the intimate area without risk of irritation. To use; Remove a wipe and cleanse gently from front to back. Use only once. Do not flush. Ingredients; Aqua, Glycerin, Calendula Officinalis Extract/Calendula Officinalis Flower Extract*, Chamomilla Recutita Extract/Chamomilla Recutita (Matricaria) Flower Extract*, Decyl Glucoside, Lactic Acid, Phenoxyethanol, Benzoic Acid, Dehydroacetic Acid, Ethylhexylglycerin, Perfum/Fragrance.